Using a spreadsheet, you will not enter series or repetitive data manually. 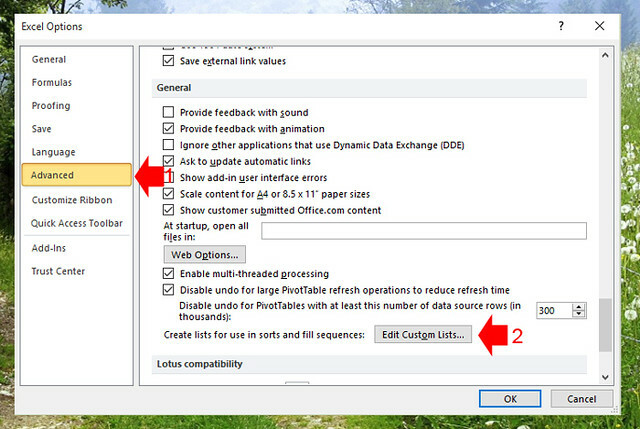 In this lesson you will learn how to enter, consecutive data and create custom list to automate repeated data entries. First, we have to show is how you can easily enter a series of numbers, days, months, etc. using click and drag technique. 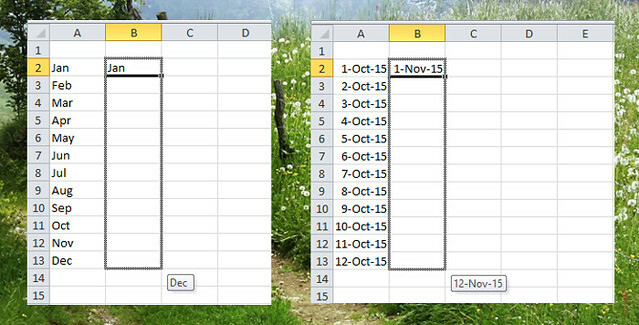 Entering series of numbers in Excel is easy, just enter the first number in the cell where you want to start the series and, on the lower-right corner of the cell you will see a small square called a fill handle. Use the right button of your mouse and drag the fill handle, you will have to guess where you stop to enter the series of numbers. When you release the right mouse button, a menu appears. 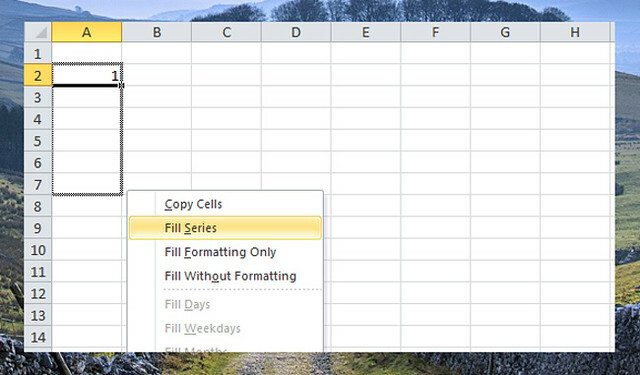 Click “Fill Series” and the series of numbers appears in the selected cells. You can also set the interval values of the number series. 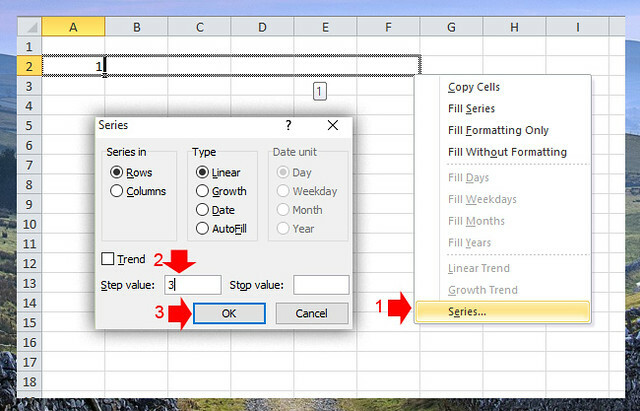 To do this, repeat the step above, then instead of selecting Fill Series on the menu, select “Series” then on the popup, enter the interval value in the “Step Value” field and click ok. Easily enter the days of the week by simply entering the first value (in this sample, we use Monday you can also use Mon), then drag the fill handle to automatically enter the days. You can also skip the weekends, use right mouse button to drag the fill handle. When release, select “Fill Weekdays” in the popup menu. Months and Dates can be entered same as the days of the week, a simple drag on the fill handle will automatically entered the months and dates. 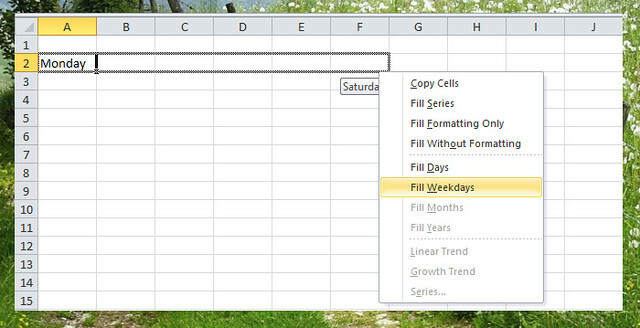 If you have to enter a set of data repeatedly, it’s better to put that into a list so that everytime you need that set of data you just use the fill handle and Excel can fill out for you. In this example, we will add a group of names so that whenever we need this list of names we just fill the first cell with any name in the list then drag the fill handle. 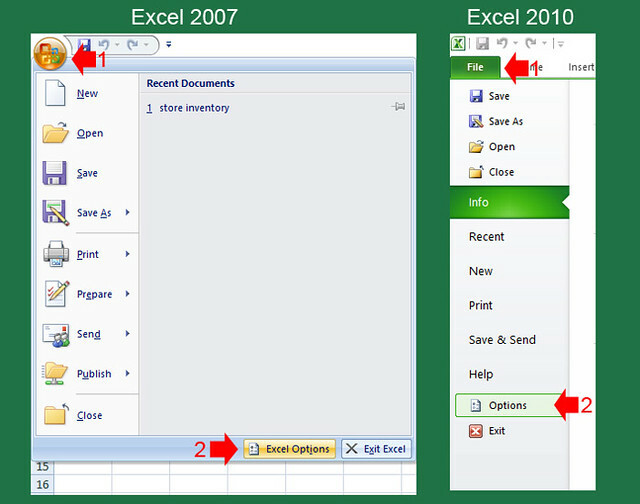 To add custom list, Click office button if you are using Excel 2007 or File Tab if you’re using Excel 2010, then select options. In the options window, select “Advance” then scroll down to see the “Edit Custom Lists” Button. 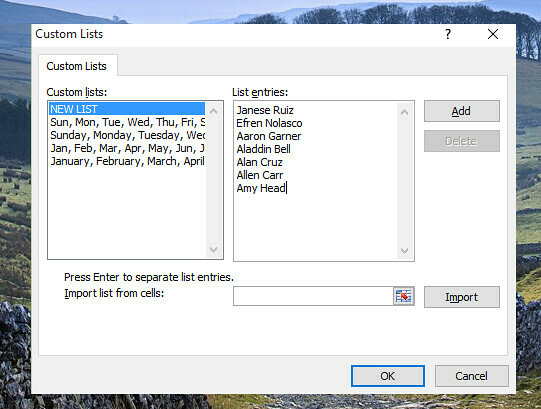 In the Custom list window, enter the list of in the list of entries under new list, then click “Add” then ok.